No Sorting Needed – We Do It All! 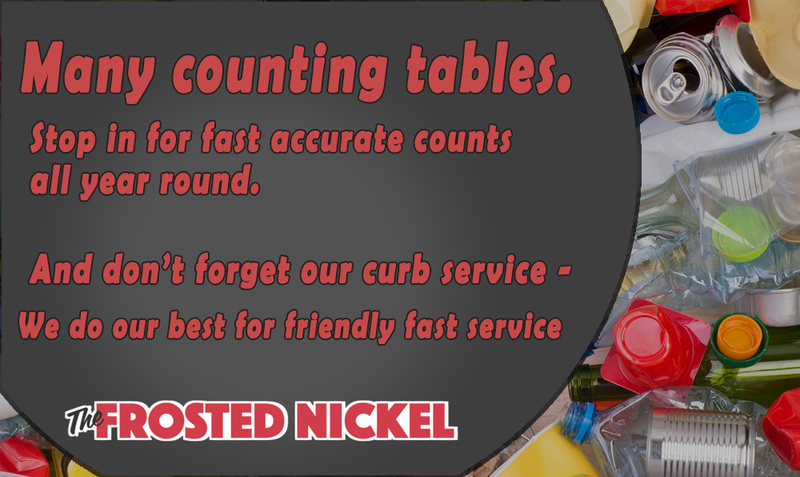 To schedule pick-up service or for more information, call Frosted Nickel Company, Auburn, NY, at (315) 253-0347. Please drop your cans/bottles off at the SPCA on York Street - or at the Frosted Nickel for continued donations to the shelter. No Limit, No Sorting, We Do It All!